Glass Racks Are Used In Restaurants, Cafeterias, Catering Facilities And Other Foodservice Areas. Glass Racks are made of heavy duty heat-withstanding polypropylene construction for long lasting durability and dependability. Wide selection available for storage and accommodation of beverage glasses, tumblers, juice glasses, champagne flutes, cordials, wine glasses, shot glasses and more. BPA free and dishwasher safe. 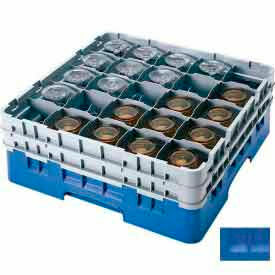 The 16 to 49 compartment racks are color coded in Blue, Orange, Red, Green, Lavender or Yellow for proper sizing. 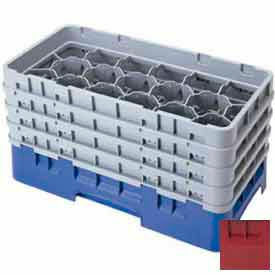 Available in Single Rack units and with 1, 2, 3 or 4 easily stackable extenders. 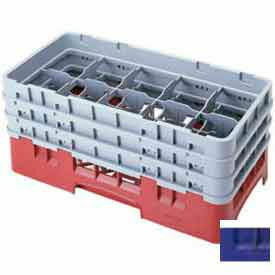 Racks are available in numerous square compartment sizes. 49 Compartment Glass Racks Wash, Store And Safely Transport Stemware And Tumblers For Foodservice Environments. 49 Compartment Glass Racks feature open inside compartments for thorough cleaning. Full-sized glassware rack offers ample storage space for restaurants, catering, and home kitchens. 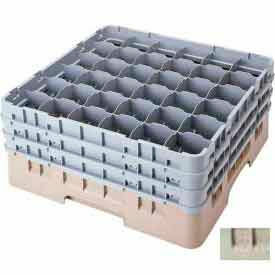 Durable polypropylene construction withstands chemicals and high temperatures for long lasting use. Racks support maximum glass diameters of 2-3/4 and 3-1/2 inches. Rack colors are Beige, Black, Blue, Cranberry, Navy Blue, Red, Sherwood Green, Soft Gray, and Teal. Dimensions vary per model. 10 Compartment Glass Racks Securely Store And Transport Glassware For Dishwashing And Foodservice Applications. 10 Compartment Glass Racks provide a half-sized glassware rack for small scale storage needs in restaurants, catering, and home kitchens. Durable polypropylene construction withstands industrial washing for long lasting use. Racks support maximum glass diameters of 3-1/2 and 4-3/8 inches. Rack colors are Beige, Cranberry, Navy Blue, Sherwood Green, and Soft Gray. Dimensions vary per model. 36 Compartment Glass Racks Feature Smooth Top Rim To Ensure Quick, Stable Stacking For Storage And Transport Of Foodservice Supplies. 36 Compartment Glass Racks are constructed of polypropylene to withstand chemicals and high temperatures during washing for long lasting durability. Closed external walls keep fingers and contaminants out for added safety during handling. Full-sized glassware rack offers ample storage space for restaurants, catering, and home kitchens. Racks support maximum glass diameters of 2-7/16 and 2-7/8 inches. Rack colors are Beige, Black, Blue, Cranberry, Navy Blue, Red, Sherwood Green, Soft Gray, and Teal. Dimensions vary per model. Twenty-Five Compartment Glass Racks Allow Safe Storage Of Glasses For Restaurants, Catering Halls, Cafeterias And More. 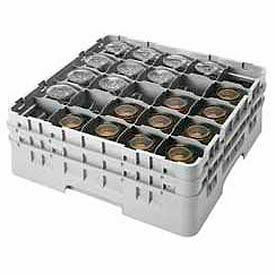 Twenty-Five Compartment Glass Racks are designed to safely wash, store or transport large quantities of glasses. Racks are made using polypropylene plastic for durability and resistance to corrosion. Glass racks are available in a variety of options for dimensions and colors. 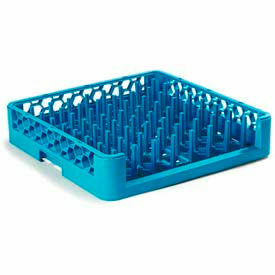 17 Compartment Glass Racks Feature Open Design For Easy Cleaning With Superior Water And Air Circulation During Washing. 17 Compartment Glass Racks are designed with closed external walls to keep fingers and contaminants out for added safety during handling. Smooth sides and rounded corners reduce risk of injury. Polypropylene construction withstands chemicals and high temperatures for long lasting durability in foodservice applications. Half-size low profile compartments offer efficient storage space for restaurants, catering, and home kitchens. Racks support maximum glass diameters of 2-15/16, 3-5/8, and 6-7/8 inches. Rack colors are Beige, Cranberry, Navy Blue, Sherwood Green, and Soft Gray. Dimensions vary per model. 8 Compartment Glass Racks Offer Half-Size Low Profile Compartments For Efficient Storage Space In Restaurants, Catering And Home Kitchens. 8 Compartment Glass Racks feature polypropylene construction to withstand chemicals and high temperatures for long lasting durability. Foodservice racks are designed with open inside compartments to wash, store, and securely transport stemware and tumblers. Smooth top rim ensures quick, stable stacking. Racks support maximum glass diameters of 4-1/8 and 4-7/16 inches. Rack colors are Beige, Brown, Cranberry, Navy Blue, Sherwood Green, and Soft Gray. Dimensions vary per model. Drop Extenders Provide Additional Height To Base Glass Racks To Accommodate Taller Glassware And Flatware. 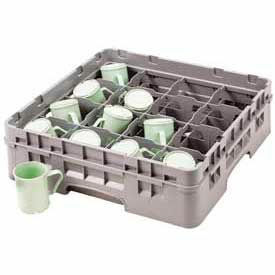 Drop Extenders are designed with open inside compartments to wash, store, and securely transport stemware and tumblers. Foodservice racks add 1-5/8" to rack height and feature smooth top rims to ensure quick, stable stacking. Durable polypropylene construction withstands chemicals and high temperatures for long lasting durability. Extenders available for Full Size and Half Size Racks. Colors are Beige, Brown, Cranberry, Navy Blue, Sherwood Green, and Soft Gray. Dimensions vary per model. 20 Compartment Glass Racks Provide Storage, Maintenance And Transport For Applications Including Food Service, Hospitality, Catering And More. 20 compartment glass racks are made of polypropylene for long lasting durability and corrosion resistance. Internal compartments provide water and cleaning solution circulation followed by drying. External walls keep contaminants out reducing the risk of breakage. Rounded handles provide unit stability and handling. Smooth sides and rounded corners reduce operator injury. Compartment capacity is 20. Color is Soft Gray. NSF certified. Dimensions are 28.25"L x 20.12"W x 20.12"H.
16 Compartment Glass Racks Clean, Transport And Store Glassware In Busy Foodservice Areas. Glass Racks are made from polypropylene for long lasting durability and performance. Open inside compartments provide thorough circulation of water and soap and promote quick drying after rinse cycle. Rounded handles ease transport from dish room to serving line. Full size racks available in Beige, Black, Blue, Cranberry, Gray, Navy Blue, Red, Sherwood Green, Soft Gray and Teal. Overall dimensions vary by model. 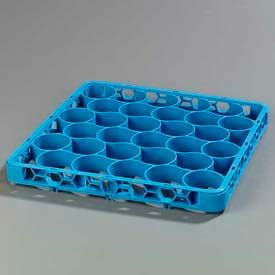 CamRack® Full Size Cup Rack Is Used For Commercial Or Industrial Storage And Transport Applications. 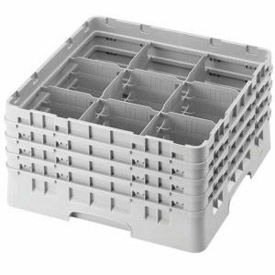 CamRack® Full Size Cup Rack is made of durable polypropylene construction for long lasting durability and dependability. 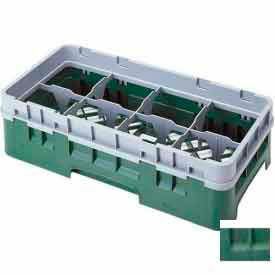 20 4-3/8 x 3-1/2 inch compartments. Designed with handy carrying slots on all four sides. Over size is 19-3/4 inch width x 19-3/4 inch depth x 4 inch height. Soft gray finish. Dish, Cup And Utensil Racks Are Used For Restaurants, Cafeterias, Catering Facilities And Other Food Service Applications. Dish, Cup And Utensil Racks are made of heavy duty heat-withstanding polypropylene construction for long lasting durability and dependability. BPA free and dishwasher safe. Wide selection of Compartment, Peg or Tray type containers for storage and accommodation of Cups, Bowls, Plates, Silverware and more. 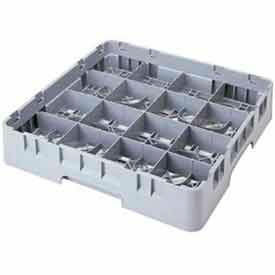 Include contoured handles for easy handling. BPA free and dishwasher safe. Available in selected case quantities of 4 or 6. Carlisle Glass Racks Reduce Storage Space, Labor, Needed Rack Inventory And Chemical Usage For Foodservice Industries. Carlisle Glass Racks are constructed of high impact polypropylene to resist grease and detergents for long lasting strength and durability. Glass Racks and Extenders hold 20% more glasses than comparable square compartmented glass racks with rounded design to hold glasses more securely in place for less movement and breakage. Compartment sizes are designed to fit popular sized glasses and tumblers. 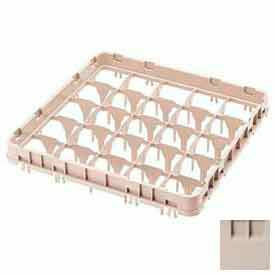 Bakery Trays securely hold sheet or bun pans low enough to fit standard height dish machine openings. Cup Racks and Flatware Baskets feature open design for easy cleaning with superior water and air circulation during washing. 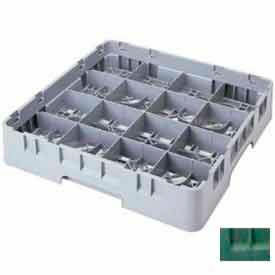 Food Pan Racks are designed for health care or correctional facilities using insulated meal delivery compartment trays. Dimensions vary per model. Nine-Compartment Glass Racks Allow Safe Storage Of Glasses In Restaurants, Catering Halls, And More. 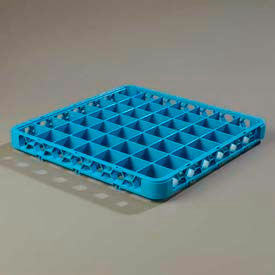 Nine-Compartment Glass Racks are polypropylene plastic for years of durability and resistance to corrosion. Glass racks are available in a variety of sizes and colors.